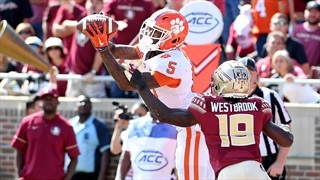 The top plays of Week 10 in ACC football feature another big man getting in the endzone for Clemson. 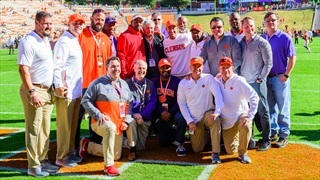 October 19, 2013, and October 1, 2016, are a distant memory from the past two Saturdays as Clemson has now firmly asserted themselves as the class of the ACC. 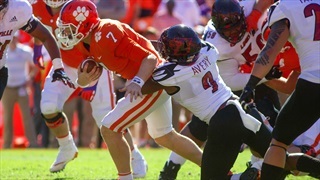 Clemson running back Travis Etienne only needed 8 carries to do some serious damage against Louisville Saturday afternoon. 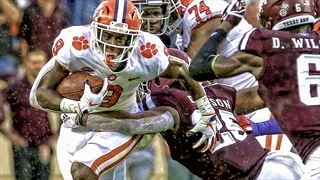 Clemson has a "windshield" mentality, but we'd be lying if we said the rearview mirror isn't a big part of their success in 2018. 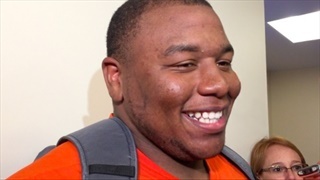 As Clemson prepares for a trip to Boston College several players spoke with the media ahead of the game in Chestnut Hill. 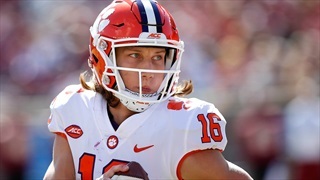 Our intern Brandon Stockdale gives his thoughts on Clemson's smashing of Louisville and wonders if this team has any areas in which they can improve. 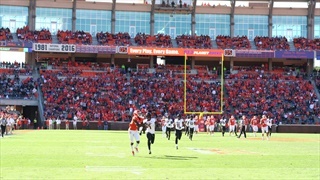 The 2nd-ranked Tigers did not mess around Saturday afternoon against the Cardinals, winning 77-16. 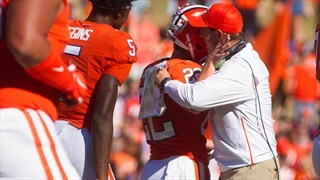 Take a look at some of the streaks that remain intact after Clemson's 77-16 win over Louisville. 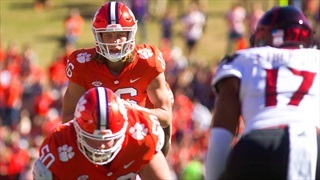 Clemson's offense has been rolling the past four weeks, but a new wrinkle at the goal line gives the Tigers a hefty punch. Saturday afternoon, No. 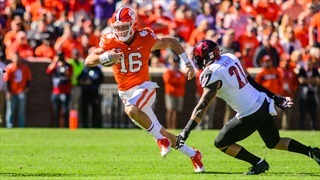 2 Clemson hammered Louisville 77-16, giving Clemson their second consecutive blowout win over what was once a challenger in the ACC Atlantic Division. Here are some of the notes coming out of the win. 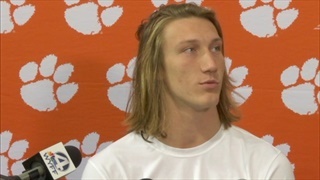 We caught up with several players following another blowout for the Tigers. 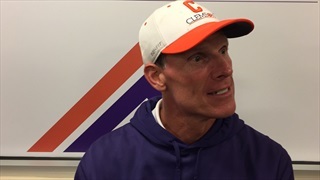 We caught up with co-offensive coordinators Jeff Scott and Tony Elliott, as well as defensive coordinator Brent Venables after Clemson's 77-16 win. No. 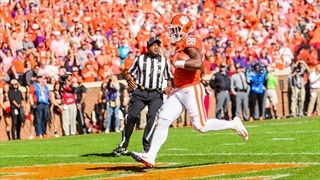 2 Clemson treated Memorial Stadium as if it were Churchill Downs as its stable of running backs galloped for 492 rushing yards in a 77-16 win. The Tigers rack up 11 touchdowns from ten players in blowout of Cardinals. 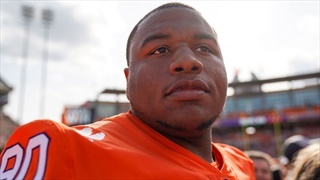 Hang out with fellow Tiger fans in our live chat room and get updates LIVE from the press box. 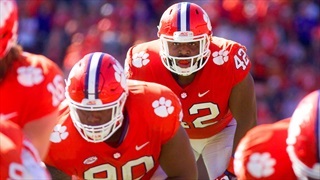 We've got some last minute thoughts on today's game in Death Valley. 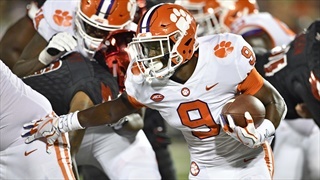 Clemson's offense looks to get Travis Etienne back on track against one of the worst rush defenses in America in Louisville. 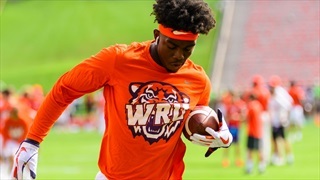 One outlet states, "Complacency is the only thing that could slow down the Tigers this week, and I don’t know if that will matter." 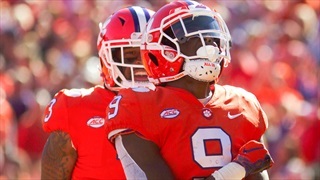 Last year, star running back Travis Etienne was just getting his feet wet in the ACC when he exploded for an 81-yard touchdown late in the Tigers' win over the Cardinals. 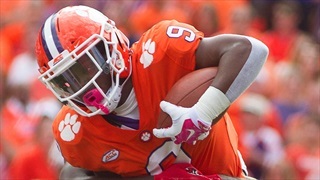 Travis Etienne has had a great season, but put up limited numbers the past two weekends. Tony Elliott breaks down the film and tells us what he's seen from his running back the past few weeks.